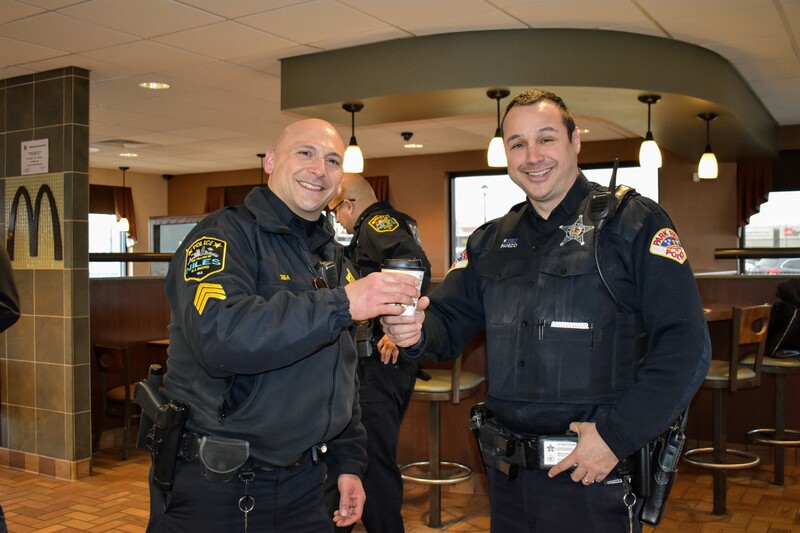 What better way to warm up on a chilly afternoon than by having The Niles Police Officers serve complimentary McCafe Hot Chocolate. 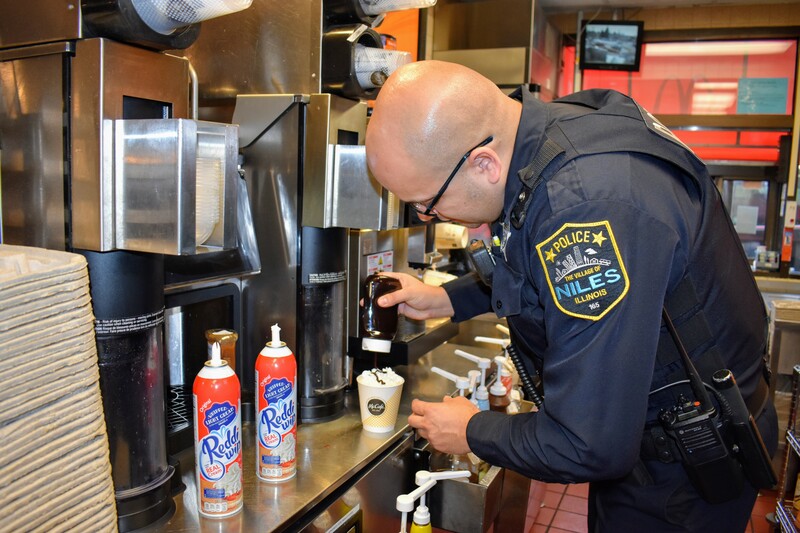 The Cocoa With A Cop event, hosted by the Niles McDonald’s located on Milwaukee Ave., on Friday, March 15th, which aimed to bring the community together did just that by serving the customers Hot Chocolate during this one-hour event. 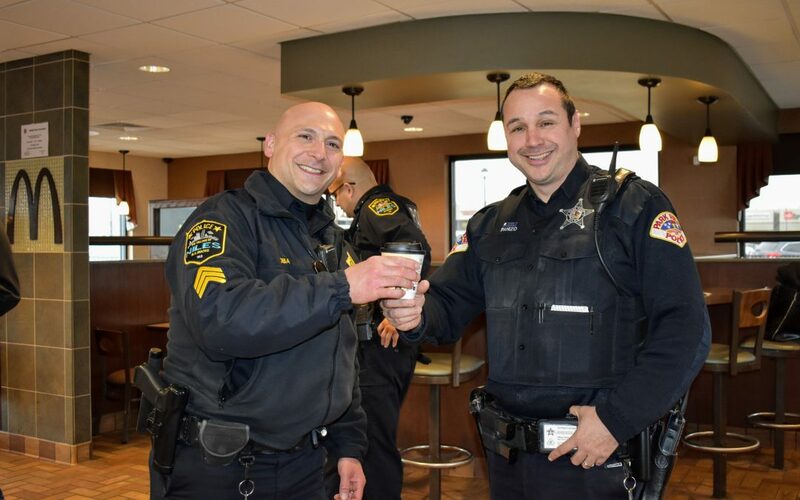 David Bear, Owner-Operator, of the Niles McDonald’s, is honored to take part in these great community-building events that help to bridge relationships between residents and the local police force. 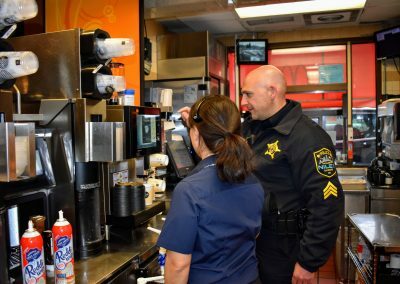 These events are an excellent opportunity for the residents to come out and get to know the officers that serve their community and get to know them on a more personal level. 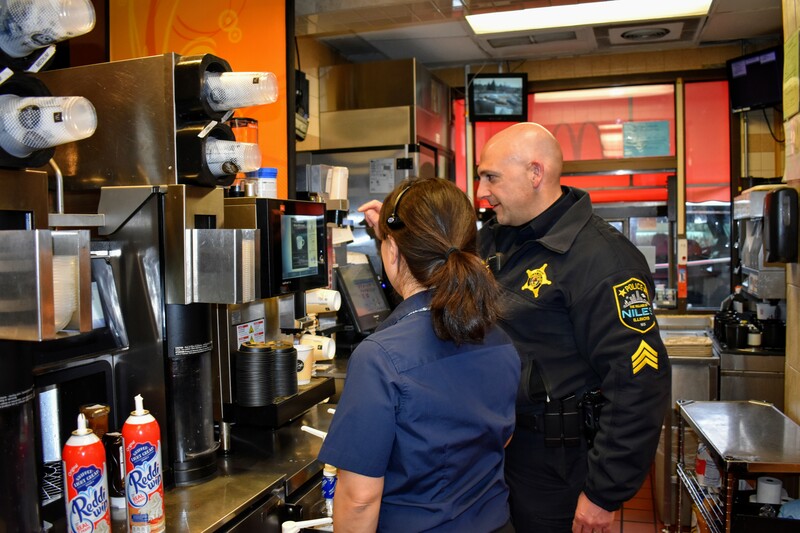 Sergeant Boba, and Officers Zagorski, and Helma were in attendance for this Cocoa With A Cop event, they were able to personally to meet and greet those in attendance, make hot chocolate to warm up those chilly hands and take photos with the community, what better way to end the week. Park Ridge Officer Panzo even stopped in to say hello to his fellow officers. 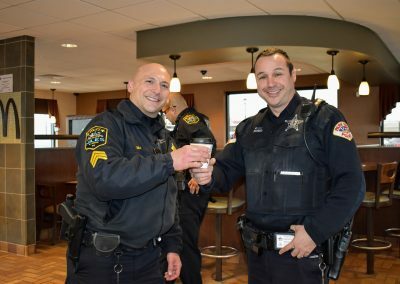 “The Bear Family is proud of the role we have in Niles, and we are happy to see the community and the local Police Department enjoying pleasant conversation together over hot chocolate. This is how life should be, simple and fun.” Bear said. 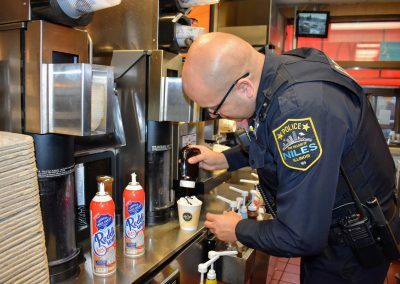 “We are grateful to Officer Rodney Whiteman, who contributed to the coordination of the Cocoa with A Cop event,” Bear said.